There is no argument that customer service has been transformed. The bar has been raised and the demands of what exceptional customer service looks like have undoubtedly been elevated. 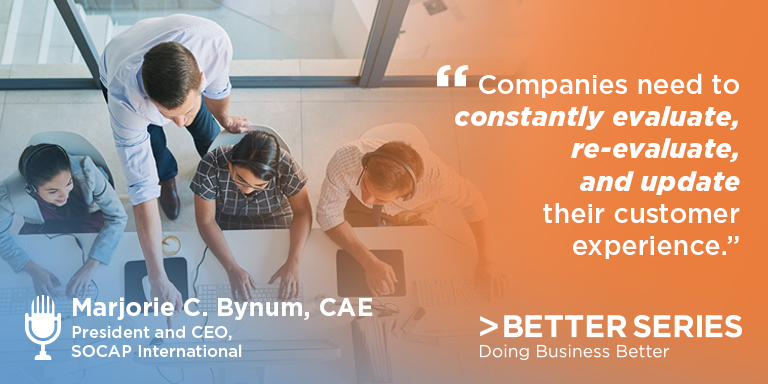 Majorie Bynum, President and CEO of SOCAP International stops by the Better Series podcast where she breaks down how customer care and customer experience are both required to enhance the consumer journey.